First Gokin Reveals NT-02 Shredder! Posted by Jon in News, TMNT with 0 comments. 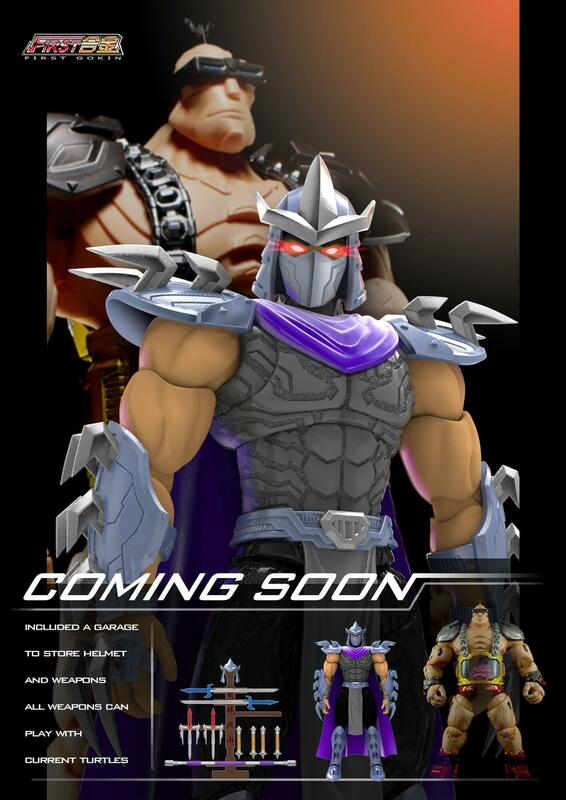 Looks like we have our first image of First Gokin’s second TMNT inspired figure: Shredder. The original picture was posted by Lunar Toy Store, who we can assume will be selling the figure at release. Of course, if you remember NT-01 was none other than Krang (or Cerebral) who we reviewed earlier this year. Some publicity was put out that NT-02 would be a Krang walker, though it isn’t clear if that idea has been shelved as of yet. Shredder looks to be scaled at about Cerebral’s shoulders. The plan looks to be him coming with a display stand to hold his weapons as well as the helmet, so I would assume it is removable. I’m very excited to see if First Gokin pulls off this Teenage Mutant Ninja Turtles version of Shredder. We shall see! With Mondo and their 1/6 collection, and First Gokin putting out amazing third party TMNT product it is a great time to be a turtle fan!